EzW2 software is even more user friendly for small businesses and is available at $0 through TrialPay. Test drive it at http://www.halfpricesoft.com with no risk or obligation. ezW2 software is available to customers at $0 , so that employers and HR managers can spend the savings on other business needs. 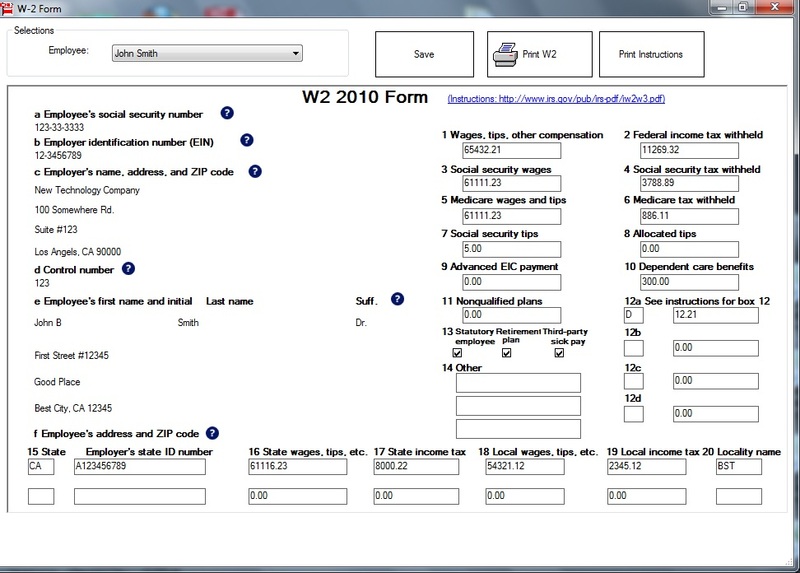 The new edition of ezW2 software from halfpricesoft.com eliminates the need for pre-printed red forms for recipient copies. This innovative software will make printing and sending forms easier than ever for small to midsize businesses. To make the software even more appealing to new customers, Halfpricesoft.com is making this software available at $0 through TrialPay. Customers can download ezW2 trial version before purchasing at http://www.halfpricesoft.com/w2-software-free-download.asp with no cost and no obligation. New customers can sample ezW2 software from year 2007 version to current version. 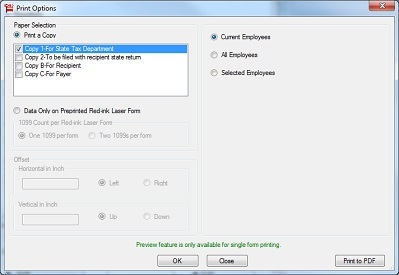 This new white paper printing function can print all W-2 forms (copy A, B, C, D, 1 and 2) and W3 on white paper. The black and white substitute forms of W-2 Copy A and W3 are SSA-approved. So no pre-printed forms are needed for SSA copies and recipient copies. 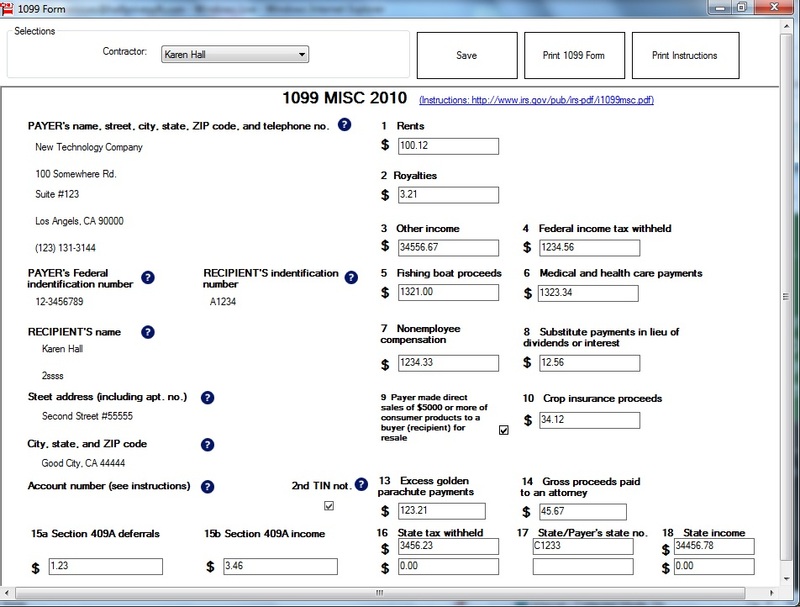 EzW2 2012 can print 1099-misc recipient copies on white paper. Since IRS does not certify the substitute forms right now, ezW2 will fill data on the red-ink forms for 1099 MISC copy A and 1096. EzW2 saves customers valuable time by importing W2 and 1099 data from csv file. No need for customers to enter the data one by one. Designed with simplicity in mind, ezW2 is easy, flexible and reliable. Halfpricesoft.com developing team is confident that this tax software is user-friendly and straight-forward for the new customers who have only basic computer skills and little accounting know-how. Halfpricesoft.com added help buttons to the display of each form, indicated by a question mark icon next to elements on a form, for the 2012 edition of ezW2. When customers click on a help button, a window opens on the computer screen to display answers to the most common questions about the particular form element. EzW2 is compatible with Windows 8. It can also be run on Windows XP, Me, 2003, Vista and 7 systems. Even better is there is no o internet connection needed to run this W2 application. Now even the smallest of businesses can benefit from this easy-to-use w2 filing software. 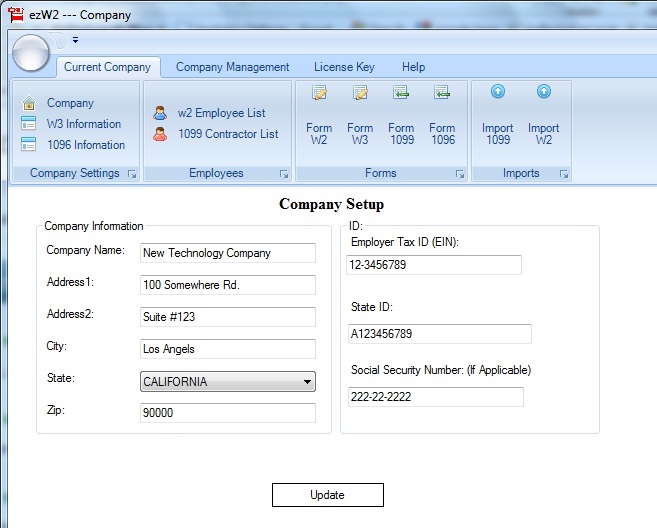 ezW2, filing 1099 formezW2 allows user fill in 1099 form easily ezW2, set up company information for W-2ezW2 is very user friendly. User can set up company information for 1099 and W2 reporting easily Importing W2 1099 Data into ezW2ezW2 supports fast w2 1099 data uploading feature Form W2 Preparing with ezW2 from halfpricesoft.comPrinting Form W-2s with ezW2 Software is simple and fast 1099s printing and e-filing softwareez1099 speeds up tax forms reporting for 1009s, 1098s, W-2G, 1097BTC, 8935, 3921, 3922, 1096 forms required by the IRS 5 easy steps to print w2 forms yourselfStep by step guide on how to print W2 forms in house 1099 and W2 Reporting Goes Green with ezW2's pdf featureezW2 support W2, W3, 1099 and 1096. It also allows user print forms in PDF format. 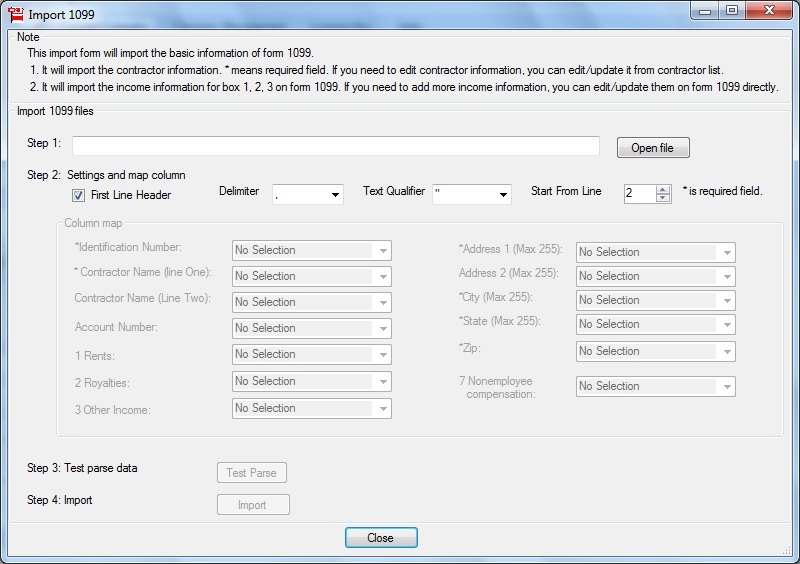 ezW2 supports fast data uploading featureezW2 allows user upload W2 or 1099 data from external csv file.